Kristin Smith, Wealth Management Specialist, Associate Vice President, Investments, Raymond James. Develops and implements financial plans for individuals and families with diverse goals, including retirement saving, income generation, business succession, education funding, estate planning, as well as managing over $50 million in client investment assets. Community activities include BPW, Board of Trustees Vice Chair and Finance & Investment Committee Chair for Suncoast Center, Inc., and Loan Committee Vice Chair for Project Prosper. Marcy Hawk Doran, CLTC, Northwestern Mutual (NM) Financial Advisor Marcy spent 7 years in the hospitality industry before joining NM in 2008. Areas of expertise include: retirement income planning, financial planning, estate planning, and long-term care planning. Marcy is passionate about helping women become successful business owners and encouraging them to be champions of other women. She created a scholarship for entrepreneurs at Florida State University. Community activities include Junior League and Camelot Community Care. Liz Illgen, Residential Sales Professional, Berkshire Hathaway HomeService. Liz currently sells residential real estate. Her prior thirty years of business and marketing experience included copywriter, business manager/accountant, business consultant, revenue forecasting manager, and IT sales/operations manager, in industries as diverse as telephony, retail, manufacturing, consulting and B2B sales. She has also been an entrepreneur and is an avid blogger. Liz has a BA from UW-Eau Claire in Business Administration and an MBA from Rutgers University. Darden Rice, St. Petersburg City Council, District 4. Darden has more than a decade of experience in working for national, state, and local organizations in communications and issue-based advocacy campaigns for the public interest, in addition to having others advocate to her in her capacity as an elected government official–so, she has been involved on both sides of public advocacy. Among her many community activities, Darden was President of the League of Women Voters of the St. Pete Area for three years, Co-Founder of the Pinellas Living Green Expo, and past Florida Director of Gulf Restoration Network. Sheila Barry-Oliver, Ed.D., retired IT/management consultant and educator. Sheila has 28 years corporate experience and 13 years teaching graduate management courses. Her corporate experience included working with and in overseas locations and with diverse staff. She created a led a workforce diversity initiative for a global management consulting firm. Her doctorate in human resource development enabled her to teach about and effectively apply global workplace concepts. Gretta Paige-Bellas Community Activist. Gretta was previously the Client Services Director and Paralegal at Kira Doyle Law, a relationship manager at Sabal Trust Company, a paralegal for a New York law firm, and held several positions in the hospitality industry—all positions which involve extensive interaction with others. Gretta is active in many community activities, including Women’s Service League, Boley Angels, St. Petersburg Women’s Chamber of Commerce, and the League of Women Voters, in addition to being BPW/FL Membership Chair and a Past President of BPW/St. Petersburg-Pinellas. Her active participation frequently involves finding sponsors, convincing them of the worthiness of their donation. Camille Iurillo, Iurillo Law Group, PA. Ms. Iurillo combines both the legal know-how of structuring transactional agreements with the practical understanding of how businesses operate. In addition, Ms. Iurillo represents businesses in disputes. Leveraging the knowledge she has gained after more than 20 years as a trial lawyer is essential to this process. Ms. Iurillo also represents professionals, businesses and business owners struggling with financial challenges. Ms. Iurillo has been selected as a “Top Lawyer” by Tampa Bay Magazine and named as one of Florida’s Legal Elite by Florida Trend magazine. She is a past president of the St. Petersburg Bar Association. Barb Kyes, Managing Parter of ActionCOACH Tampa Bay. Barb and her team have coached over 70 different types of businesses since its inception in 2007. Barb’s firm has consistently been ranked as one of the top ActionCOACH firms in the U.S and in the world. Barb was recently recognized by ActionCOACH Founder and Chairman, Brad Sugars for “Best Coach in the World” honors and her team’s first book, OMG! What’s the Focus? released in 2015, achieved Amazon #2 best seller and #1 Hot New Release. Barb has over 25 years experience in running small businesses and as a non-profit leader and fund raiser in our community. She has been a finalist for Business Women of the Year honors with the Tampa Bay Business Journal as well as the St. Pete Chamber and was featured in Forbes Magazine in 2011 as an up and coming Florida Women’s Business Leader..
Christy Crump, Director of Operations for Regulatory Compliance Services (RCS), a subsidiary of the Florida Restaurant & Lodging Association. Christy leads a team of 40 managers and trainers who provide alcohol compliance/responsible vendor training and food safety training in Florida as well as professional development training designed to help staff work more efficiently and effectively including communication skills, conflict management, customer service, team building, critical thinking skills, time management, organizational management, and administrative professional development skills. Christy is also the President of BPW Florida. 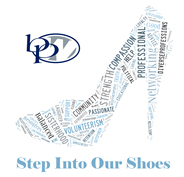 As a signature program of BPW, the Individual Development (ID) program assists women in meeting their personal and professional goals, as well as their goals for community action and change.